Each month I write a detailed report about my freelance business, Never North Labs, and the journey I’m going on to CRUSH IT! I go over the process of aligning my business so that it goes where I want it to go, lessons learned, mistakes I made, and other important happenings. This is not all about me, please post your own monthly update in the comments section. Let’s follow each other’s journey and grow together as a community that wants to use our creativity to design a better tomorrow. In last month’s Lab Report I went over about how I’m working to restructure my business. I realized that I didn’t like doing the technical design work and wanted to move towards Creative Direction and Strategy Consulting. This is the stuff I LOVE doing and it would also give me the time/money to invest into building Never North’s community. My ultimate goal. I had to get real this month with my priorities. I still had commitments to finish with my remaining design clients, I have stuff to do for Never North, and I need to create a new stream of income. This will allow me to create the Creative Direction and Strategy Consulting role I’m looking for and find freedom once again. 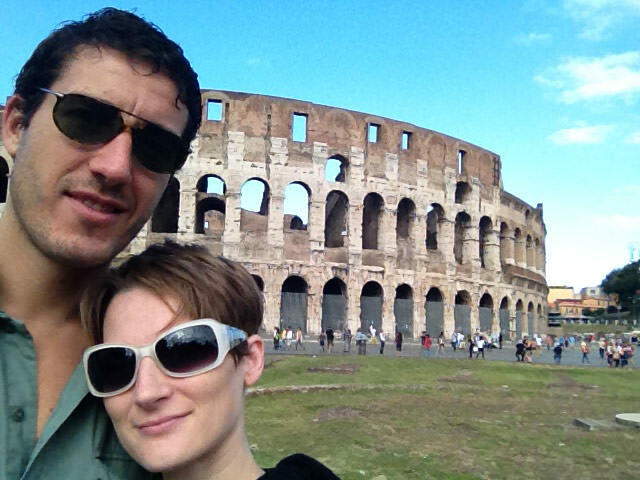 When we moved to Rome, Italy last month this dream felt so far away. We had just a few hundred dollars to our name when we arrived. I had no more large client payments coming in because I dropped most of my projects and what was left, I needed to use to pay my freelancers. We knew there was going to be a time when things were really tight to make this change and it would be risky. I had to keep the faith that I could create the money. We planned on everything going smoothly, but you know what they say about plans… We got hit with some large bills we weren’t expecting or prepared for which made the situation even more stressful. 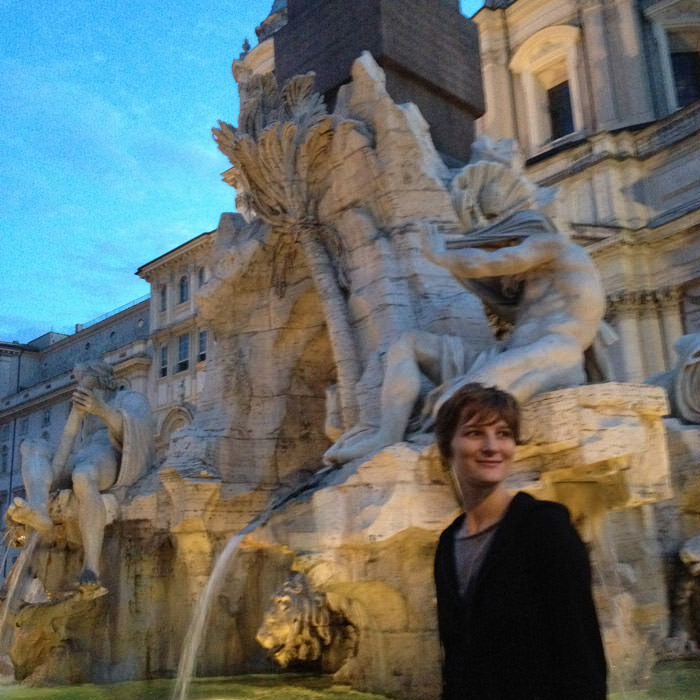 I was in Rome, Italy, one of the most beautiful places in the world, and I couldn’t enjoy it how I wanted to. We made the best of it though, by spending lots of time with family (with amazing homemade food) and spent hours walking around the center seeing all the ruins and stuff. I’ve traveled all over the world, but I’ve never been to Europe until now. I’ve seen these places in movies countless times and to see it in real life is not something I can describe with words. The commitment to my dream was tested as several project opportunities came my way, but were no longer aligned with my new direction. It was great income, but not the income I wanted. I was tempted to take them. Because shelter. 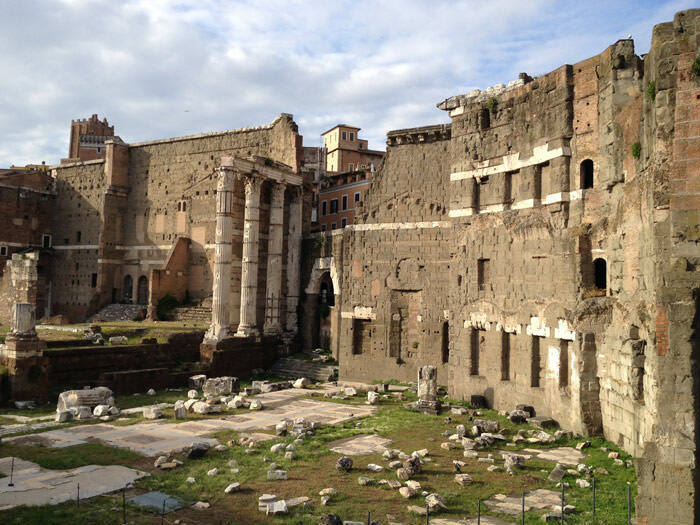 And Rome. When you see something like this, you feel like you HAVE TO take projects for money to survive. 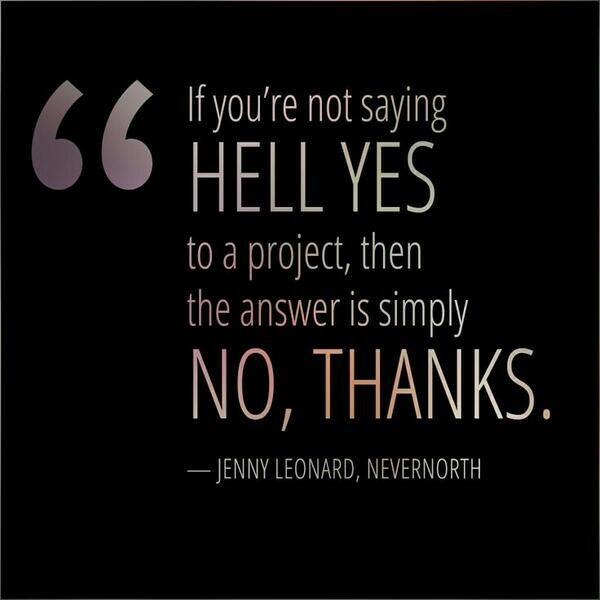 But by saying “no”, it opens up the space to saying “hell yes” to what you really want. I don’t just preach this stuff. I live it. With $-187 in my personal bank account and no remaining client payments, I declined the projects. All of them. My stress level went through the roof. My faith in my dream was being tested and I feel like I’ve climbed all seven summits to get where I am today, from where I was just a few months ago. I wasn’t about to back out now. This is years in the making! The secret is falling down seven times and getting up eight. One of my favorite books is, “The Alchemist ” It’s about a boy, Santiago, who has a dream that reveals the location of a hidden treasure buried at the Egyptian Pyramids. This tears his simple life into two and he must choose between following his dream or continuing his easy life as a shepherd. Shortly after he takes off a king convinces him that he’s found his personal legend. Following your personal legend to it’s completion is a person’s only real obligation in life. The story, which can be read in a few evenings, is a book I’ve picked up many times to refresh my faith when things seem to be going wrong. The Alchemist’s underlying theme is about the power and importance of following your dreams. The path to achieving a dream is paved with lessons and memories that will stick with you and shape you for the better, no matter what the final outcome is. Because of this, there is no reason to be afraid of failure. The only true failure is failing to chase your dream at all. Unfortunately, society has been conditioned to put down those who try and follow their dreams. We’re told how hard it is, how the industry is difficult to break into, how you’ll always be a starving artist and all sorts of other deterrents. We all have natural talents and things we enjoy doing and do well. I believe the reason for this is that it’s our personal legend. It’s the manifestation of our true dream through the natural talent we possess and when developed and practiced, it will provide what we seek. We’re naturally good at being creative, but we are not good at creating a business. Things like accounting, finding clients, promoting ourselves, negotiating deals, creating business processes and things like that. 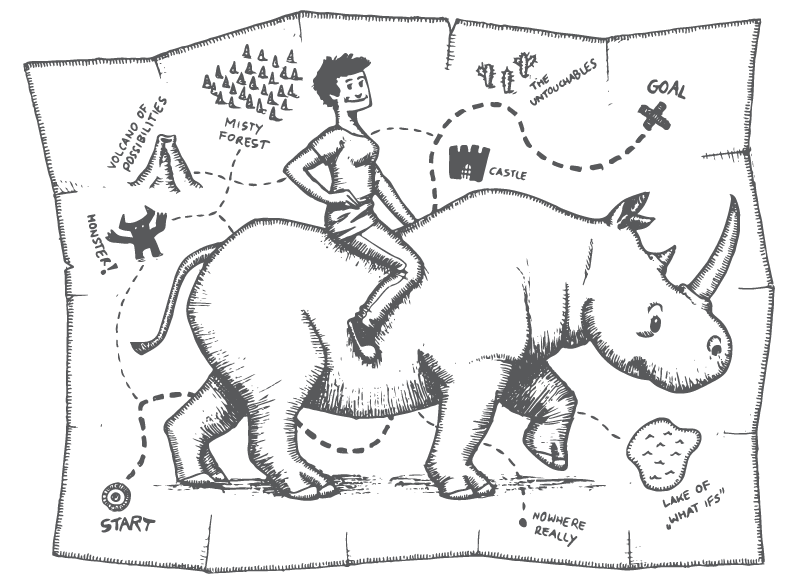 The point of Never North is to help creatives find freedom in freelancing. This means learning how to be better at our craft and continue to adapt to technology AND how to run a more streamlined, profitable, and productive business. For 13 years I’ve lived life to the fullest while running my freelance business, but like you, I sucked at the business side of it. Over these years I’ve learned a lot of lessons, made a lot of mistakes, and also lived some incredible adventures. Maybe my house of cards was meant to fall apart so I could rebuild it here. With you. I want to prove to you what can be done. In front of you. Sometimes that’s all people need to see in order to believe it’s possible for themselves. By helping other creatives find work they believe in and standing behind them, maybe we can be the change we want to see in the world. We can lead more fulfilling lives, explore the world we live in, let our creative souls manifest, and spend our limited time on earth in enjoyment. It got real this month. This whole year ended up being a perfect storm of a cash-flow crunch for me. I went from having a nice cushion in my savings account and thinking I’d be able to launch and build Never North to losing all my money, paying a ton of medical bills, having the equivalent of three full-time jobs, and dropping my project pipeline. I just couldn’t do it anymore—despite the consequences. My business-related stress level was at an all time high. This definitely contributed to my medical issues. Being stressed and in poor health does not help you execute creatively or within the business in a way that eases the financial considerations that caused the whole thing. With all of my health problems, low energy levels, and workload it was difficult to find time for myself, but I’ve made it a growing priority. While it’s difficult to go full-tilt. I’ve managed to slowly integrate new practices into my daily routine that help me find peace. I go on short-walks with Zulu most days, spend a night with friends here and there, and am taking lessons to learn Italian so I can communicate with Paolo’s (my SO) family and friends. I look forward to seeing more of Italy. Not eating ALL THE FOOD in Eatly. Because delicious. I’ve gotten more project inquiries than normal this month and they continue to come in from people determined to get me to design. It’s tempting to take them and gain some future security, but need to continue to have faith in my dream and say ‘yes’ to the right things. I’m working to see how I can pass these projects on to Northies. I decided to not write the 3rd series in the launch post series for Never North since the development still has outstanding items and instead, I decided to start working on Dark Sail’s live project as soon as I’m able to do so. Dark Sail is for a good friend of mine and he knew the project had to wait until my schedule cleared up which should be August. I’m looking for some rest and recovery before jumping back into my final design project for now. I need it. In June, I brought on new sidekicks for my business and they are a perfect fit for Never North. Our strengths and weaknesses balance each other out. They create order out of my chaos and creative brain and can work on my weaknesses so I can concentrate on my strengths. I am very excited about this development as it opens up my time and space, giving me my freedom back. I was browsing Reddit one night when I saw an opportunity to raise awareness for an anti-poaching charity in Africa. I had met the founder, Damien Mander, during my travels in South America back in 2008 and have watched him build his non-profit over the years. There were about 3-4 articles that hit the front page on Reddit about elephants or rhinos that had been poached and readers were outraged by it. I saw this as a prime opportunity to let everyone know about my buddy in Africa who was working hard to prevent this very thing. My photo album and comments led to raising around $6k for the organization. Two Lab Reports ago I talked about landing my first consulting deal (and within my newsletter in detail). If I didn’t say ‘no’ to those other projects I wouldn’t have had the space to say, ‘yes’ here. Our first Never North donation! 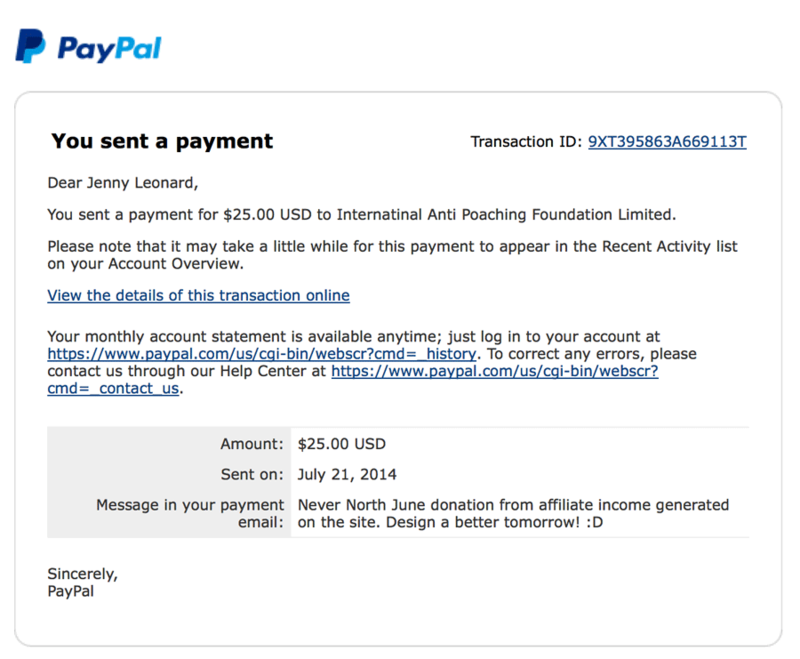 51% of affiliate income generated on Never North goes to charity as stated on our resources page to two charities: International Anti-Poaching Foundation and Do it in a Dress. I don’t do any affiliate promotion on Never North unless it’s a product I actually use and pay for myself and I refuse to send spammy e-mails about deals. I mention them in passing when relevant and have a resources page. That’s it. Because of this and the fact that Never North is a new site, the affiliate income is incredibly small and embarassing. Many of the links only generate a few dollars per sale, so it’s less than $35 since launch. Until it reaches $200/month I’ll be donating all of it split between the two charities. So for June Lab Report Never North donated $25 to each of the charities making it $50. Figure out how to secure the time and cash flow to work on Never North without taking on any new design projects. Figure out where to go next. My visa in Italy ends at the end of August so I need to begin to make plans for my next move. I’ve been looking into Berlin, Germany since they have a 1 year freelancing visa available and would allow me to stay in Europe and be in an economical digital nomad hub. Free up my schedule and workload by bringing on the right people to help me in my business so that I can have my weekends back and continue to move towards balance. To start working ON my business and not so much IN it. In the Never North newsletter I asked you Northies, “What’s next for you?” and I got some great responses from you guys… Here’s my favorite one because it aligns perfectly with this month’s Lab Report. Recently said goodbye so long sucker to my corporate marketing job, started to freelance and I will be away from my home country (Australia) for as long as I feel like. As soon as I made this big declaration to myself and everyone I know, money started pouring out of my savings – parking fines, stolen money, trouble finding new tenants, yet to sell my car. But i’m going and I’ll just keep pushing ahead. Hell, its better than sitting in the beige being miserable and not even trying to change my life. So, thanks for these emails – I look forward to every single one. You’re on to a good thing and I plan to stick by for a long time to come. Have faith in the process, Northies. When was the last time you felt life was testing your faith? What happened?